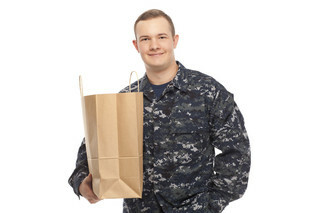 If you’re looking for commissary coupons that you can use the next time you need groceries at Joint Expeditionary Base–Little Creek, formerly known as Naval Amphibious Base Little Creek, in Virginia Beach, Virginia, just check out MyMilitarySavings.com. We get how busy military life can be, making it difficult to find time to search all over for savings, which is why we’ve made it our mission to be a reliable, user-friendly one-stop shop for military discounts. We’ve gathered coupons and other deals from trusted sources in order to take the hassle out of planning for your next trip to the commissary. Be sure to also take a look at the My Home Base Circular and Special Edition Circular, our interactive ads that are updated monthly with exciting savings opportunities for shopping at your local commissary and exchange stores. Also, we’ll send you weekly e-mail updates with links to digital copies of the Coupon Connexion and Price Connexion, helping you prepare for your shopping trip by informing you of the current sales before ever entering the commissary. To learn more and start saving big at the commissary at NAB Little Creek, sign up today at MyMilitarySavings.com.